AT 6.24AM on November 9, 1914, the Anzacs commanders' worst fears came true as they sailed in convoy to war. As the convoy was within about 80km of the Cocos Islands and had passed the night in a dark, relative calm, wireless operators on many of the ships suddenly received a short, loud message they did not recognise. The signal was heard twice more over the next few minutes. 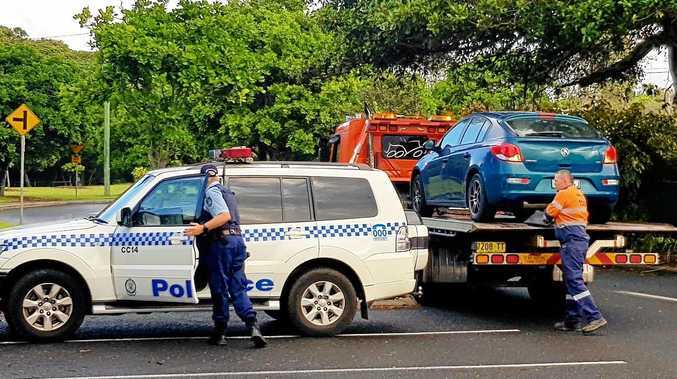 The next communication came from the Cocos Islands telegraph post: "SOS. Strange warship approaching." Captain Mortimer L'Estrange Silver, commander of convoy flagship HMAS Melbourne, signalled to HMAS Sydney to leave its protective position by the troop ships and make for the Cocos Islands to investigate the threat, which was believed to be the German cruiser Emden. According to official war historian Charles Bean, within an hour the Sydney had disappeared over the horizon to the west. "The whole fleet had seen the Sydney leave, and every man knew that she had gone to meet some ship of the enemy," Bean wrote. 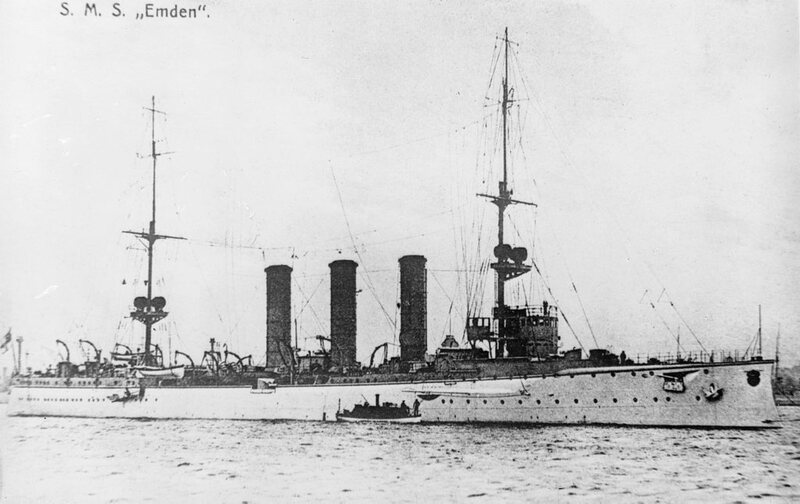 By this point, the Emden had built itself quite the reputation - as much in Britain and Australia as in Germany. From September to November 1914, it had sunk or captured 23 vessels and disrupted trade over a wide area of the Indian Ocean, and many allied ships were engaged in the hunt for it. That morning, the Emden was raiding the Cocos Islands with the aim of destroying the wireless station there and cutting the undersea cable (which was one of only two telegraphic links between Australia and the rest of the world). The Emden's captain had no idea the Anzac convoy was so close, having assumed it would have taken more of a direct route to Europe. Ironically, the convoy had opted for the more circuitous Cocos Islands route because it was felt the more regular, direct passage might also have been more closely watched. The battle was all over in less than two hours. 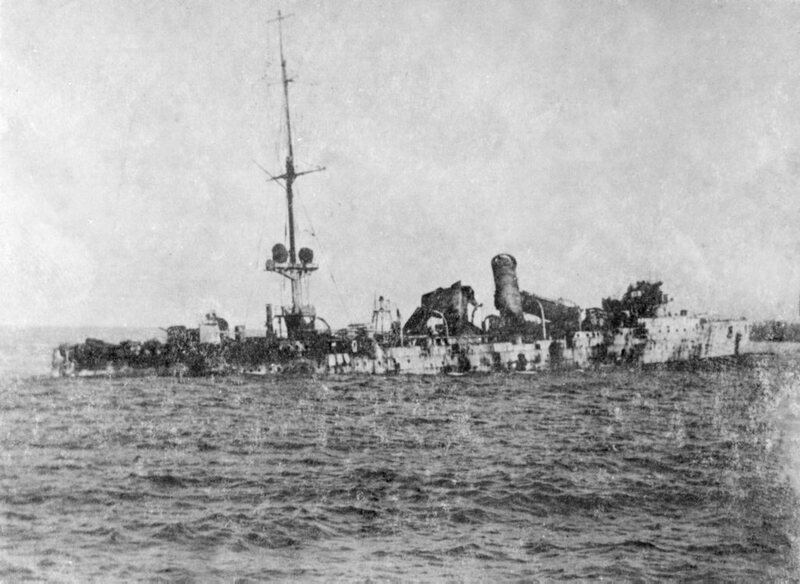 While the Emden scored a few early hits, the Sydney used its supreme speed to maintain its distance outside the German ship's gun range and was able to do far more damage to its enemy. "My clothes were blown from my body. I was not conscious of my nakedness until I reached for something in my pocket. I was embarrassed when I realised I had neither pockets nor garments. "All our gunners had been killed; no ammunition, no men left at the guns, the ship was a mass of fire and smoke. To save the rest of his crew, the captain ran the ship ashore." The Emden was run aground on North Keeling Island. Back at the Anzac convoy, a signal came through from HMAS Sydney: "Emden beached and done for." Bean remarked that while the assumption had always been that it was the Emden that was being engaged, this was the first official confirmation of that fact. "The relief that this destroyer of British merchant ships had been scotched, and the pride that an Australian ship had done it, were intense," he wrote. The first Australian Imperial Force contingent was now left to sail for the Suez Canal without being bothered by German vessels again. THE German raiding party of 50 that had been sent from the Emden ashore to destroy the cable and wireless station on the Cocos Islands were left stranded after HMAS Sydney battered their ship. They later boarded a freighter to Yemen, made their way across the Arabian Peninsula by foot, camel and train to Constantinople, and finally arrived in Berlin six months and 11,000km later. This weekend, to commemorate the centenary of the Battle of Cocos Islands, Bjorn Von Mucke, a relative of the officer commanding the raiding party, will donate a lifebuoy from the Ayesha back to the Cocos Islands community. He will be among representatives from 13 Emden families for the occasion. "The lifebuoy has been in German hands for generations and has an amazing story," said Jules Bush, of Cocos Keeling Islands Tourism. "This is a very significant piece of Australian and German history and visitors will be able to see it and experience the great escape story here on the islands." As part of the commemoration ceremony, a gazebo commemorating both sides of the conflict will be officially opened, followed by the inauguration a "friendship mast" featuring pieces of both HMAS Sydney and SMS Emden. 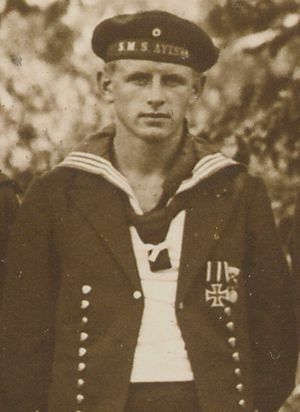 It is believed this will be the only memorial of its kind in the world that commemorates both German and Australian sailors in the one place.